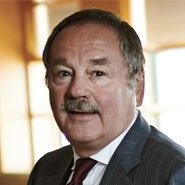 New York, NY, July 8, 2014 –White collar litigator and former federal prosecutor Victor J. Rocco has joined Herrick, Feinstein LLP as a partner in New York, and chair of the firm's White Collar Defense & Investigations practice. "Vic Rocco's leadership and vast investigative, trial and appellate experience are invaluable assets and add considerable depth to our White Collar practice," said Irwin A. Kishner, chairman of Herrick's Executive Committee. "Vic is an outstanding and highly experienced litigator. We are delighted to have him join us to lead our White Collar practice." Mr. Rocco has represented a broad spectrum of clients in a variety of complex criminal and regulatory matters in state and federal courts throughout the United States. Mr. Rocco served as Chief of the Criminal Division for the U.S. Attorney's Office for the Eastern District of New York. He is also the former President of the New York Council of Defense Lawyers. Before the formation of Hafetz Necheles & Rocco, LLP, a white collar defense boutique, Mr. Rocco was a shareholder in Heller Ehrman LLP's New York office, where he chaired its Litigation Department.